Have you ever wondered what factors play a role in smoothly run classrooms versus those with a more laxed/free-for-all feel? Is the teacher with the smoothly run classroom lucky? Does she have some magic calming powers, or is she utilizing some sort of secret trick? Teaching is not a one size fits all job. So many things need to be taken into account when planning how to run your classroom. I have had the pleasure of teaching in a few school districts with varying populations of students. I have worked with students that had very involved families and schools where the parents worked several jobs and weren’t as present or available. I have worked with students that thrived on more freedom and choice, and I have also worked with students who lacked structure across the board (struggling with time management, routines/procedures, and expectations). Despite teaching at the same school for multiple years, each year I found myself having to make changes to best fit the needs of my students. My teaching style has always been pretty structured. However, over the years I found that when clarity was a focal factor in my instruction, the more my students were able to thrive. Clarity of what was expected of them in various situations and times of the day, and clarity of the consequences they would face for not following what was expected. Personally I know that I need to know what to expect when I am in new situations. The unknown causes me extreme anxiety and it can be that way for our students as well. Keeping this in consideration before a lesson, and especially at the beginning of the year, is what helped to set us up for success. Our students need consistency and structure; imagine if each time you went to work your principal was changing the rules or the way she wanted things done! Classroom management and school wide structure has always been both a strength and a passion of mine. 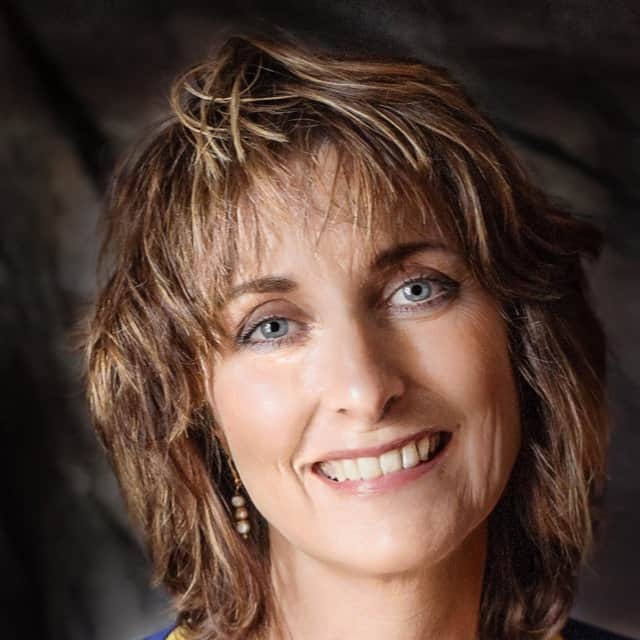 What I learned in my teaching and behavior management coaching journey is that you can and will have the classroom management of your dreams. The key is to have a plan, follow through consistently, and be open to tweaking and modifying that plan as the need arises. The first and most crucial step to your success will be having a plan. As we all know in teaching, there are exceptions to every rule. There will always be that one student or that one challenging class that throws a curve ball in your plan. Be sure to take time to regroup, rethink, and try new strategies when necessary, but for now think more generally. You are creating your ideal plan and framework for your year ahead. Sit down, close your eyes, and picture the type of class you want to have. I want you to think through several key questions as you begin to imagine your perfectly run classroom. Most kids thrive in a structured and clear environment. Take away the question marks for them by setting clear procedures, expectations, guidelines, and consequences. High structure would mean every detail of the day is very clear and spelled out for students, while lower structure may leave certain things up to student choice or interpretation. First, think about the type of structure you personally desire. Are you a super structured person or are you more go with the flow? Next, consider the structure needed for the grade level you teach and your particular population. There are times when our own personal preference for structure doesn’t mesh with the grade level and the population of students we teach. I would recommend using the structure level that best fits your students to ensure success. Many teachers struggle with their classroom management simply because they are not choosing the right structure level to fit both themself and their class. The structure level you chose should help guide you while going through these next tips. 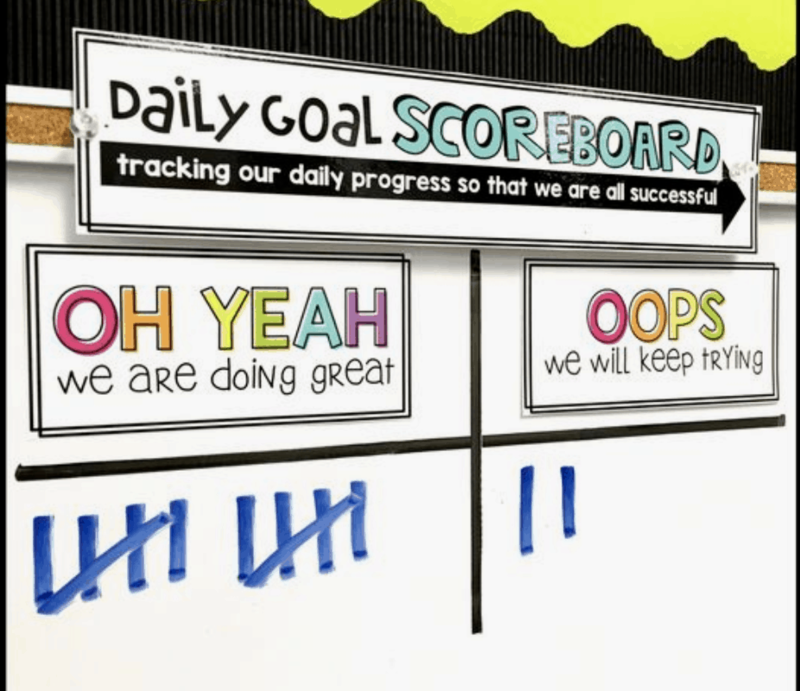 If you want your day to run smoothly, be clear with your students on how they should perform daily transitions and routines. Start by listing out all of the main parts /segments of your day, types of activities students encounter, and transitions. Parts of the Day: beginning of the day, academic blocks of the day, recess, before lunch, after lunch, and the end of the day. Activities: whole group teacher directed, whole group discussion/student directed, small group activities, partner work, independent work, and testing. Transitions: arriving at the classroom, beginning class routines, getting necessary materials out, changes in location, putting things away, turning in work, cleaning up, and leaving the classroom. 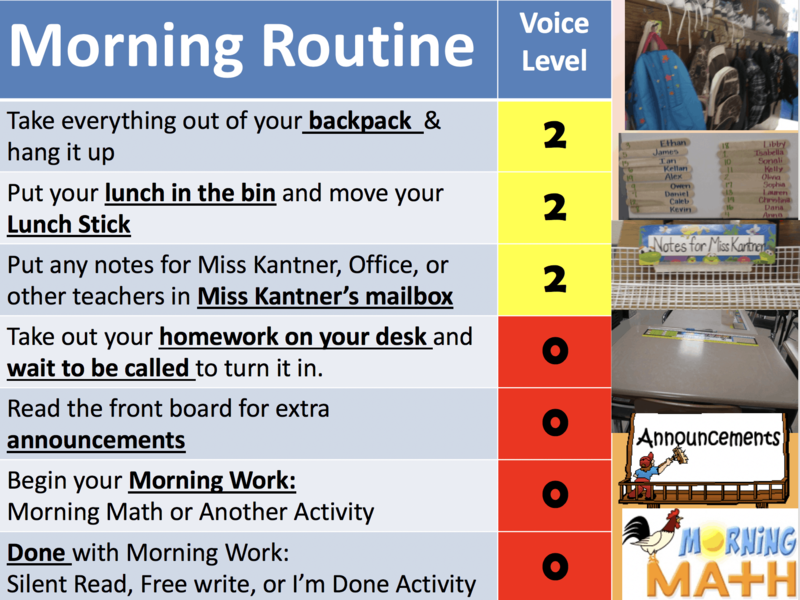 Now decide what these routines/procedures aligned with the above mentioned parts of the day, activities would look like as steps that a student would complete. Teach, review, and practice! 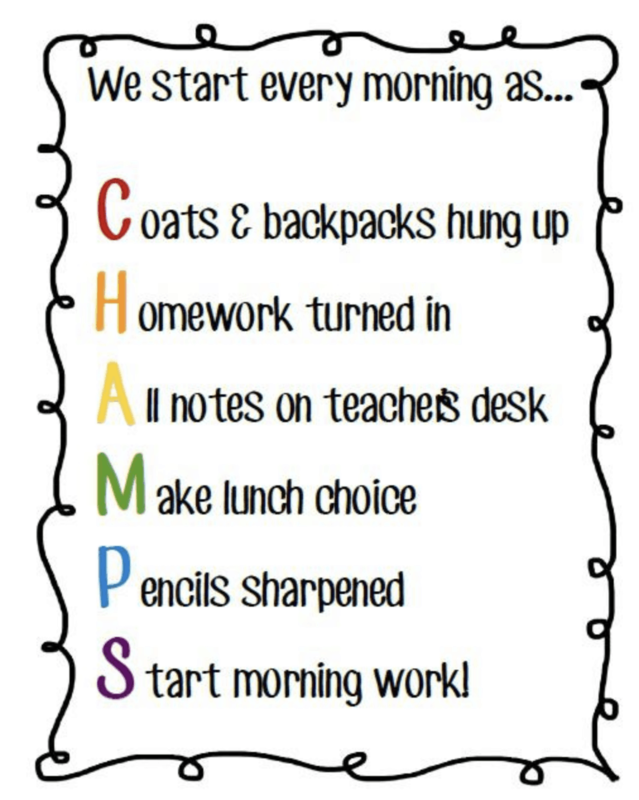 My first week of school was always constant repetition of practicing and discussing all of our daily routines and procedures. As teachers we sometimes forget that these routines and procedures need to be taught, practiced, and demonstrated by our students to show understanding and mastery just like other academic skills. Allowing adequate practice helps students to be on “automatic pilot” the rest of the year because the routines/procedures become a habit. 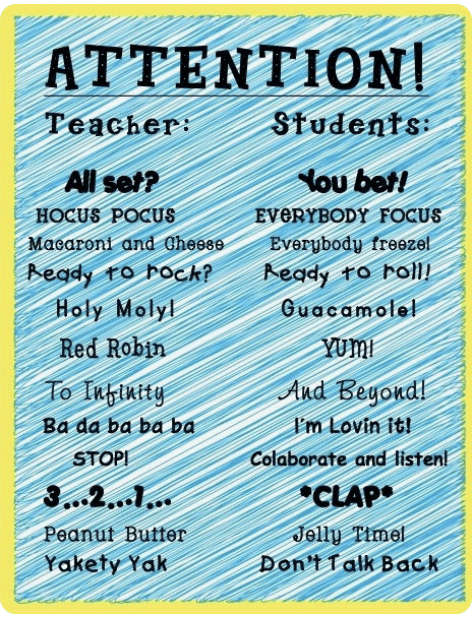 Having a clearly spelled out routine helps your classroom to run smoothly regardless if you are there or a substitute is in your place! How will you consistently get your students attention? Using the same type of signal will prevent you from constantly shouting over your students to get their attention when you want to bring the class back together. You want to pick something that can be used in any location. Select 3-5 all encompassing rules or guidelines for success in your classroom. This can be determined with your students’ help or you can create them yourself. If you decide to create them with your students you should previously know what you want to have as your guidelines for success and drive the discussions in that direction. Word these guidelines and rules as things you want to see them doing, and not things you don’t want them to do. Think positive statements! Follow directions and procedures quickly. Follow the movement expectations (this one links directly to CHAMPS movement guidelines that are consistently changed during instruction). Be kind and respectful to others. Develop some type of a reward system for individual and class incentives. Individual systems encourage students on a personal level, whereas classwide systems help your students work together and build a sense of community. Individual: Chip System Each student has a color of chips with their class number on them. Each day they will earn a chip into the bag if they did not get any broken rule slips. They can also earn chips for being caught doing the right thing. Chips are pulled from the bag each time that special privileges/jobs are to be granted/needed. 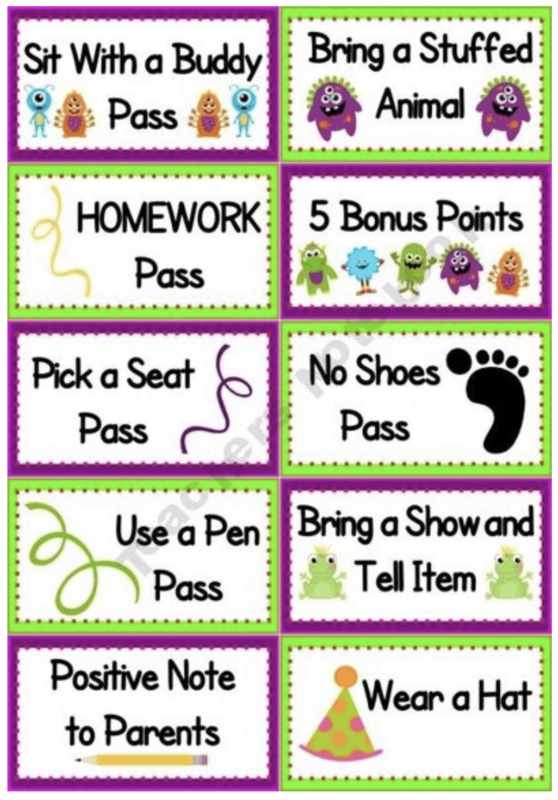 Or have students pick incentive coupons when their chips are picked. Chips are put back into the container at the end of each month. Class: Teacher vs. Students When the class is seen following the rules or expectations correctly the class gets a point. The students get to do a one second party (clap “oh yeah”). If the students or the majority of the students are not following the rules or expectations the teacher gets a point (shrug “ugh”). If the students are ahead at the end of the week they get a Star. 3 stars = reward. Class will then vote on reward options. Actions have consequences, some are good and some not so good! 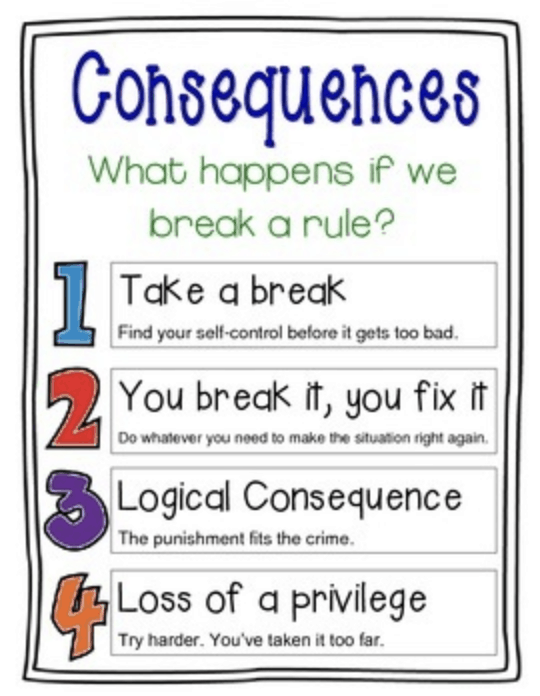 Determine your consequences for when students do not perform desired behaviors before it is time to issue them. This is key! You do not want to be in a situation where you are so frustrated that the consequence awarded doesn’t fit the crime and is issued out of pure frustration. When you lay consequences our for certain behaviors before your year even begins, you will be clear on the “if this, then that” of behaviors. This allows you to clearly communicate to your students, their parents, other staff members, and even substitutes what the consequences are in your classroom. I know very clearly if I break a law, like speeding, what my consequence will be. Be fair to your students and be clear with them, “if you choose to _____, you are choosing ____ consequence.” It shows them it is nothing personal and that you are fair to all students. Chronic misbehavior/Extreme cases: time out (in or outside of classroom) or detention. Tip 7: Students Need Help! How can students get help from you? I used to use the “ask 3 before me,” saying, but that didn’t always apply. Sometimes I didn’t want them asking others and sometimes I did. I then switched and began designating several “Help” expectations that would be swapped out based on the activity. 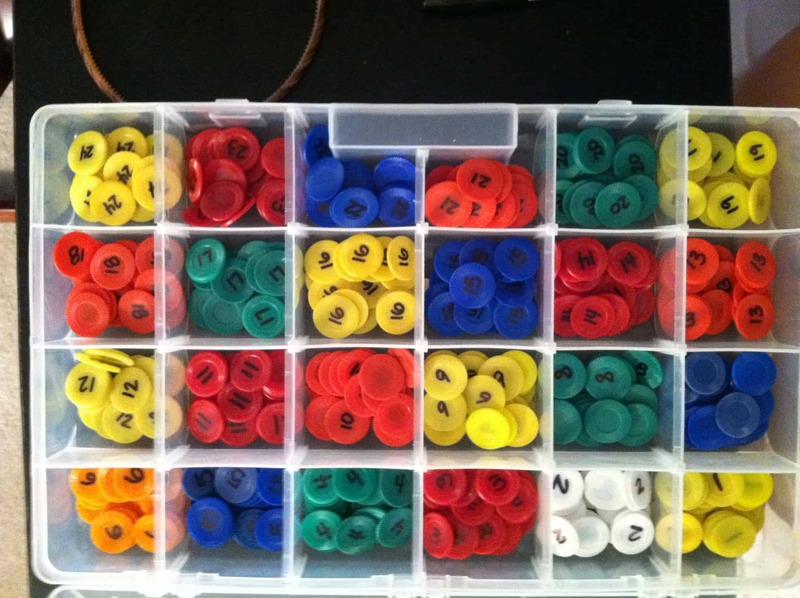 This helped my students not follow me around the classroom like a mother duck and not ask each other questions during a test or other independent work. Flip cards in a pocket chart: ask a neighbor, raise your hand and wait for me, come up directly to me. By simply swapping out cards on a pocket chart my students were aware of what I expected of them without me needing to say it. 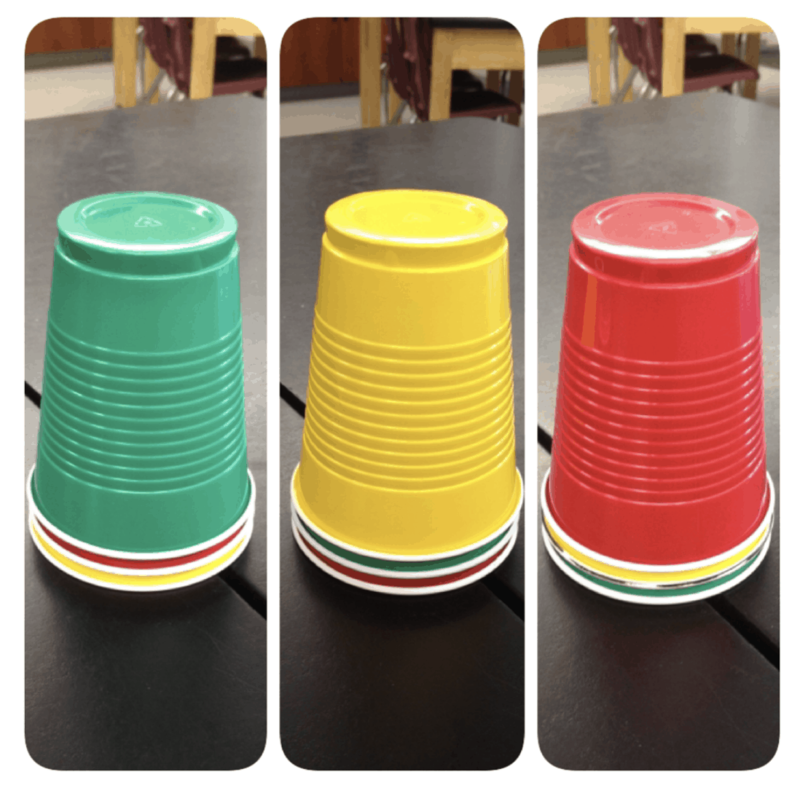 Cup Method: Each student gets a red cup and a green cup. If the green cup is on top they do not need help, if the red cup is on top they require help. Do what works for you, but be clear with your students so they feel confident in how to get assistance in your classroom! Your students are constantly completing work both at school and at home. 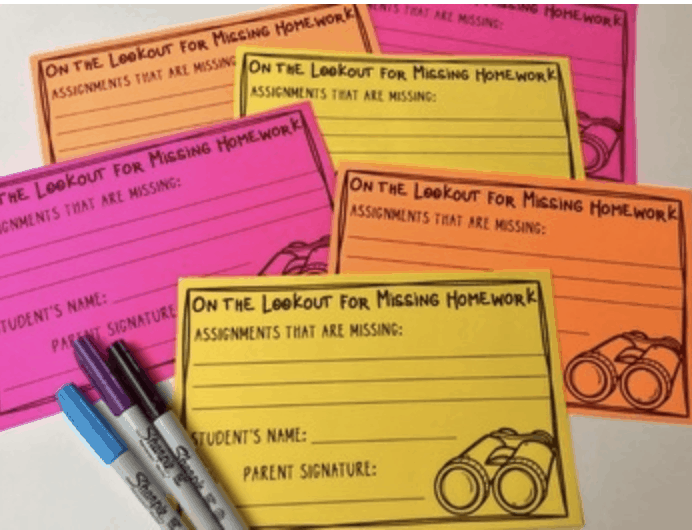 Think about how you will assign work, collect completed work, keep records of work, provide feedback, deal with late/missing work, and get information to students who were absent. These systems may be different for class work vs. homework. It can be very helpful to ask your teammates what they do to get ideas and then tailor them to fit your own style! After your routines and procedures have been in place for 4-6 weeks assess how things are going. Review the procedures with your class and practice them again.This is also the time that you may want to tweak things and make small adjustments based on how these systems and procedures are working with your particular class. Remember, it is okay to make changes, just be sure to teach, practice, and review until your students show mastery! It is important to review periodically and practice your routines and procedures throughout the year, especially after long breaks or when you notice they are not being followed correctly. 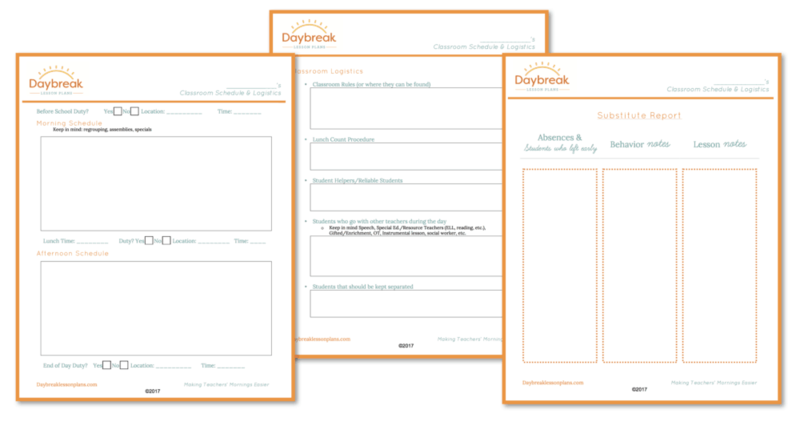 Print out our free Classroom Logistics Page to help you create your management plan.